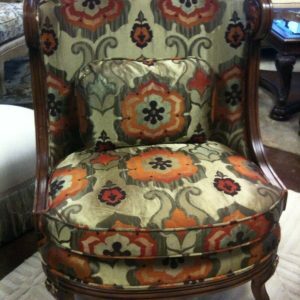 If you’re looking for that special something to liven up your decor, a fabulous chair or pair of chairs can easily do the trick! 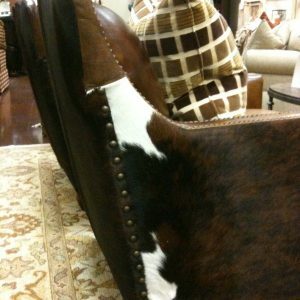 I recently highlighted my top 5 favorite chairs of the moment for Good Morning Texas. 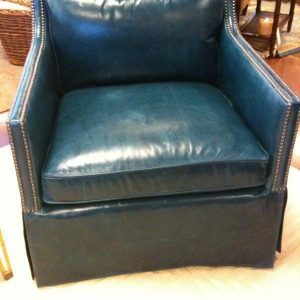 This leather & hair on hide upholstered chair with antique brass nailhead trim would work wonderfully in a study featuring a rich warm brown color palette. I LOVE this jewel tone beauty from John Richard! 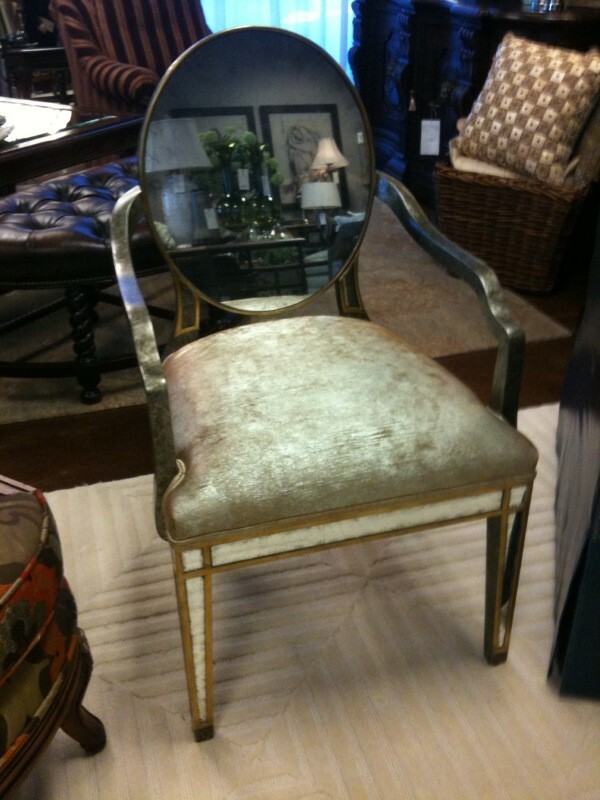 The rich colors paired with gold leaf detail make this chair such a luxurious treat! 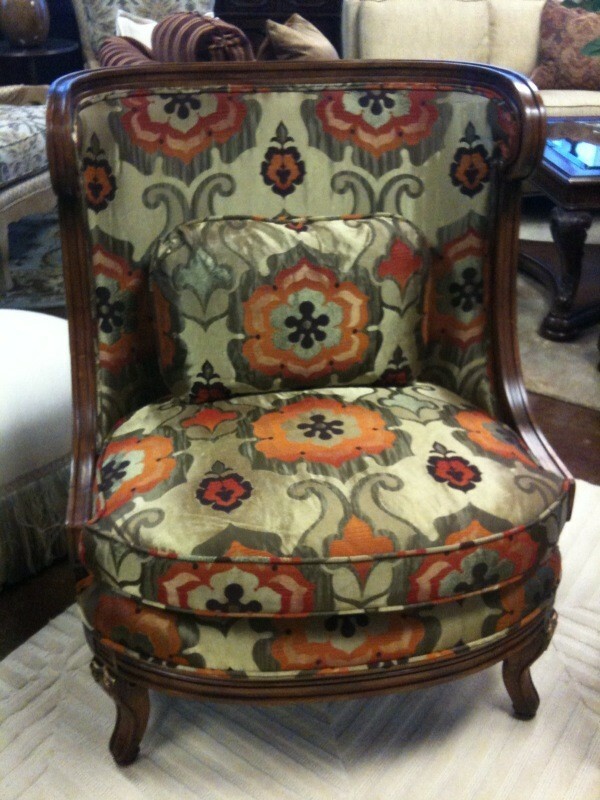 This has been a very popular chair at IBB. 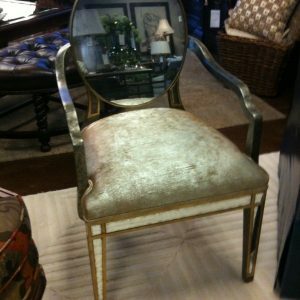 Now, you all know that I am a sucker when it comes to a fabulous piece featuring eglomise! So, it’s no wonder this stylish number (again from John Richard) made my list of faves! 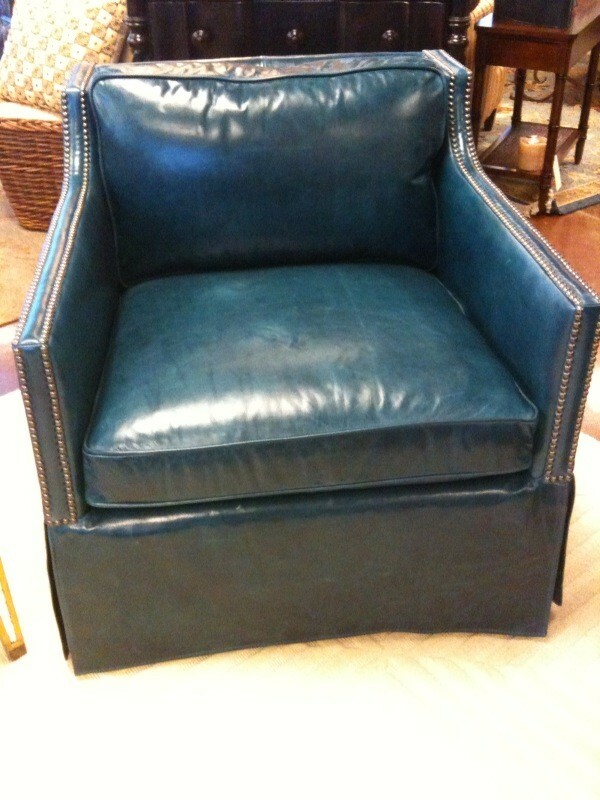 The color of the year for 2010 is turquoise, but how about a richer deep teal for a pop of color? 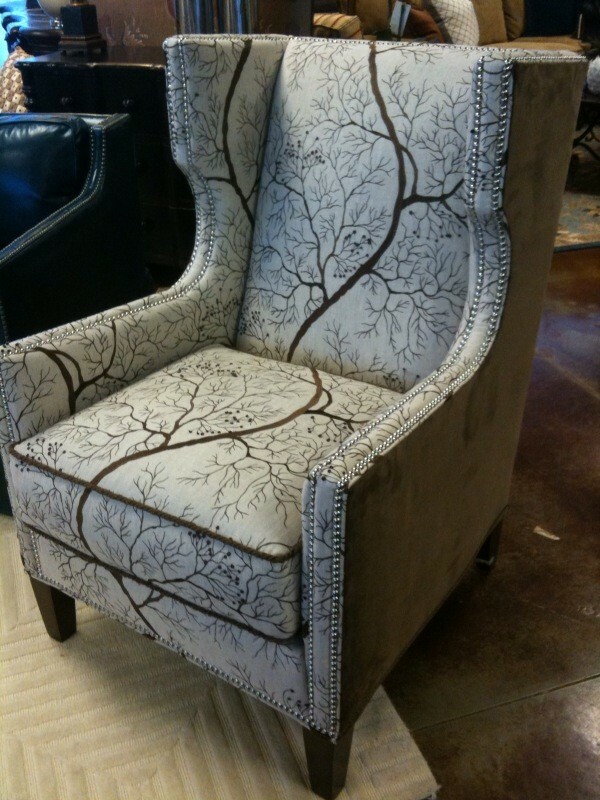 Use these comfy chairs to add style to a family room, study or swanky sitting area. 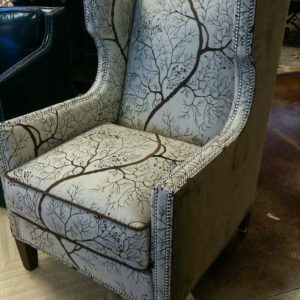 The embroidered branch pattern on this Sherrill chair is to die for! 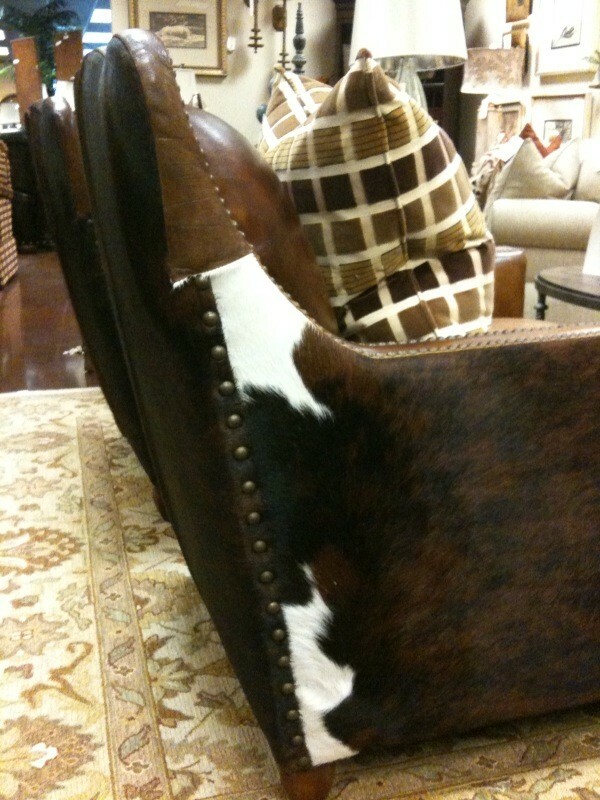 We contrasted the outside of the frame with a sumptuous chocolate brown velvet & then added some additional eye candy by using polished nickel nail head trim to finish off the look.